Danny B should be a name you remember from his excellent contribution to Jimmie Black’s urban anthem ‘Open Doors’. Hailing from England’s second city, Birmingham, Danny B has been making a name for himself of late ripping up shows from Cardiff to Wolverhampton where his positive vibration is being felt! This is Hip-Hop with emotion, music with meaning and something that deserves your attention. 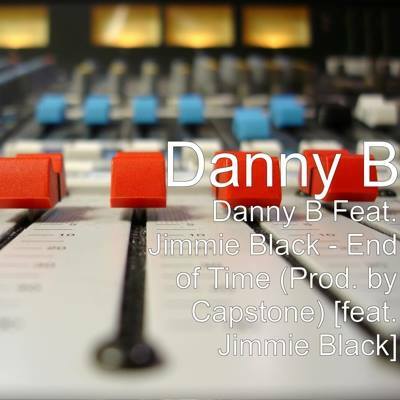 This single is a taste of what is to come from Danny B and with some amazing production from Capstone and a killer hook from Jimmie Black, ‘End Of Time’ is a single that is out now on iTunes and is complimented by a superb music video. With a superb response from the urban music scene’s leading websites and blogs, things are looking good for Danny B.